Gabe Newell was one of the prominent speakers today during the first day of LinuxCon in New Orleans. Here's an upload of his presentation where he's trumpeting the benefits of Linux for servers and gaming. Gabe believes, "Linux is the future of gaming.".. After watching through the speech doesn't bring much new information, but there is few interesting element, like their motivation has to why they think Linux gaming is the future and that they are working on a LLVM debugger (think that one was already previously announced, so might be old information). And most interesting they are supposed to have new information on how they plan to proceed next week, which might involve hardware from how it was announced, so possible Steambox news. 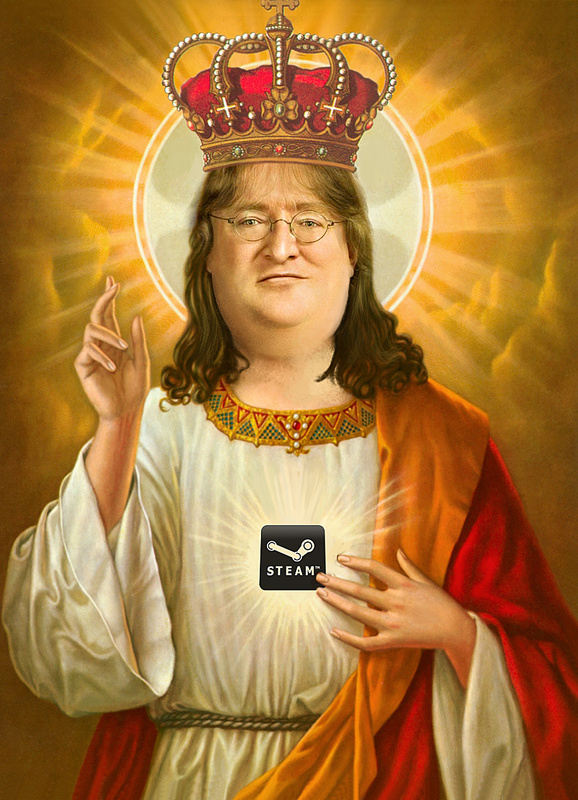 All hail Lord Gaben ! O man I love this guy. Very interesting talk. When I first saw that the Valve on Linux rumours were for real, I thought Valve was insane to want to come here. But watching Newell explain how walled gardens hurt software vendors financially makes me think that any software vendor NOT getting behind Linux is shortsighted. Simply awesome. Can't wait for next week's news. Well because of valve linux finally gets games and improved support. We have just only started. never saw a speech by him before...I've to say, his presentation style is actually worse than that of a 14 year old. Dafuq is that?! I'd have thought that someone would've teached him how to hold a presentation...really? Everything he says is printed on the presentation. And he is reading off of it. Confirmed by Gaben: Call of Duty for Linux! Has nobody noticed or made the connection yet? Gaben says in the video that they (ValvE) have certainly improved the Linux situation for the Call of Duty guys! Well, remember when Infinity Ward posted pictures of the same prototype Steambox that ValvE showed off previously, albeit with their own logo printed on it? If not, go ahead and Google it for yourself! BTW, what ever happened to the Batman game Michael was showing pictures for on his Twitter account? Couldn't of said it better myself. These companies need to wake up and jump ship to one of the last bastions of an open computing experience before it's too late. I hadn't thought of that but I remember someone saying something before that the box the CoD guys had was a Windows version but if you're right.... Linux has to have a higher first person shooter ratio than any other platform.